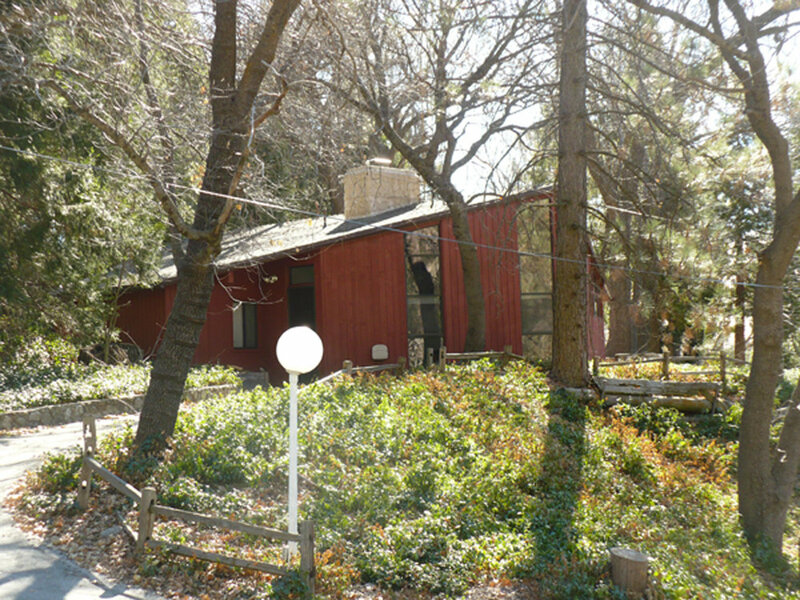 A camp in Oak Glen, near Yucaipa, San Bernardino County, California for nonprofit groups of 10-262. Pilgrim Pines Camp & Conference Center is located east of Redlands, California in the San Bernardino Mountains at an elevation of 5400’. The site is on 151 acres of cedars, pines and oak trees. There are miles of hiking trails and plenty of recreational opportunities at Pilgrim Pines, and the site is a beautiful and serene setting ideal for youth, adult and family camps. 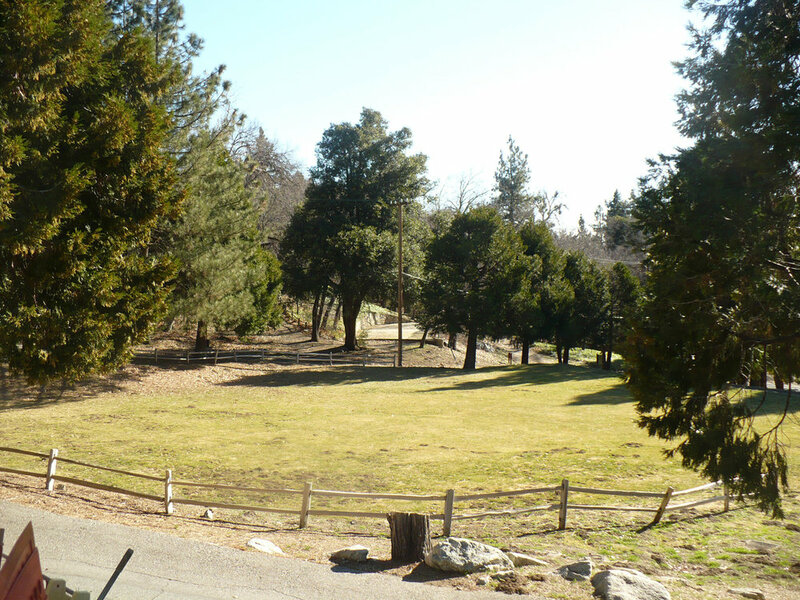 Pilgrim Pines is one of the finest camps in Southern California! "Our kids loved the pizza and cookies. The salad bar was amazing. From the minute we arrived, we were helped and felt cared for. They made it a wonderful stay for us." Meal Service - Homemade meals served buffet style for all groups, served in the dining hall by our friendly staff. We make sure people with special dietary needs are met to the best of our ability. Dining Hall - Seats 225 guests. Sound system and CD player available for use. Two accessible restrooms and a large deck that offers great views and outside seating. The dining hall has a large central fireplace and is heated. Cabins - Each cabin has 12 beds (6 built in bunk beds, three on each side of the cabin) and 2 half baths (1 on each side of the cabin). Each bunk has a storage cupboard and private reading light. Cabins are heated, carpeted and tiled with plenty of windows. 3 Main Shower Facilities - Three facilities are centrally located in each cabin area. Each has two sides. They are modern, private, and have hot water, sinks and toilet stalls. Each private shower includes its own dressing area. Leadership Center - 5 bedrooms, 3 bathrooms, with a living room, den, a fireplace and a furnace. Sleeps 10 people in twin beds. Microwave, coffeepot, and kitchenette washer dryer available for use. Health Center (Apts. C,D,E,F) - 4 bedrooms, 2 ½ bathrooms, a sitting room, and a front room. Sleeps 7 to 8 in 6 twins and 1 bunk. Apartments A & B - Handicapped accessible apartments with bathrooms; each sleeps 4 to 6. Heated. Apartments G & H - Located in Junior Lodge. Each apartment sleeps 2 in bunk beds and has private bathrooms. Main Lodge - Seats up to 200. Wooden floor, heaters plus 2 fireplaces, stage, screen and sound system. LCD projector, CD and tape players are available. Baby grand piano. Craft Lodge - Seats 40 to 50 with windows overlooking the creek. Wooden floor, heater, wood burning stove. Upright piano. 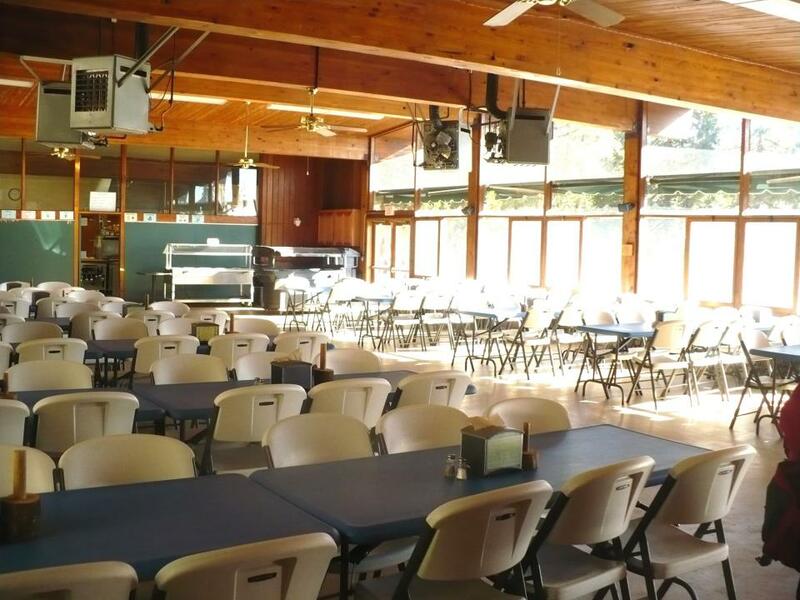 Under Craft Lodge - Large cement area with tables overlooking the creek. Perfect for outdoor projects. Mini Lodge - Seats 20-25. Carpeted, accessible half bathroom, heaters, and a wood burning stove. Junior Lodge - Seats 125. Carpeted, piano, furnace, fireplace, and patio with seating area. Includes a convenience kitchen with a beverage bar, microwave, and full size refrigerator. Dining Hall - Seats 225, sound system and CD player, two accessible restrooms, and a large deck with great views. The Dining Hall has a large central fireplace and is heated. Vesper Point - Outdoor amphitheater with benches to seat 200. Stone Altar and memorial bell. Labyrinth - Natural stone labyrinth below Lower Camp. Sheltered by two large oak trees and has two benches. Challenge Course - Low ropes has seven elements and high ropes contains five elements, three surface climbing wall, and zip line. We can facilitate your challenge course experience. Call the camp for more information. Basketball Court - Above the swimming pool. Junior Campfire - Screened campfire located on concrete pad with stage area and amphitheater seating for 100. Gazebo - Above Junior Campfire area. Open circular wood roofed structure with circular exterior table surface. Sand Volleyball Court - Located adjacent to Junior Campfire. Hiking Trails - There are several hiking trails available. To schedule a tour of Pilgrim Pines, please call the site director. Pilgrim Pines is owned by the Southern California-Nevada Conference of the United Church of Christ. For UCC summer camp information and registration at Pilgrim Pines, please visit pilgrimpinescamp.org.